Darwin Digital is a Swiss digital agency that offers comprehensive services in terms of eCommerce website creation and has many years of experience of working with Shopify. Shopify is the world’s most popular hosted eCommerce platform. Our web developers have many years of experience on Shopify and know the platform by heart. Darwin Digital will setup and configure your Shopify installation so you can begin selling. This includes SEO for Google, multilingual setup and making sure the checkout workflow is working correctly. Darwin Digital will customise your Shopify store to ensure that the design and layout of your product and checkout pages tie in with your visual identity and user-requirements. 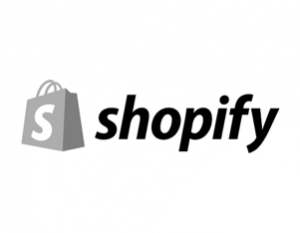 Shopify is a cloud solution mostly used by large companies and is an ideal platform for any type of online store, from the clothing store to home accessories. We recommend Shopify for any SME companies and only for customers who exclusively want an eCommerce website. Shopify is ideal for bricks and mortar retail stores who want build a web presence to sell their products directly online. If marketing, selling and turning over stock online is your game, Shopify is a great place to start as it’s fully dedicated eCommerce solution that integrates well with Google Ads, SEO, email marketing and CRM systems. Because Shopify is a hosted-solution, you will not need to worry about hosting and software maintenance. Shopify is very intuitive; this allows you to add, edit or delete content very quickly. Grow your business today with the world largest online eCommerce platform.